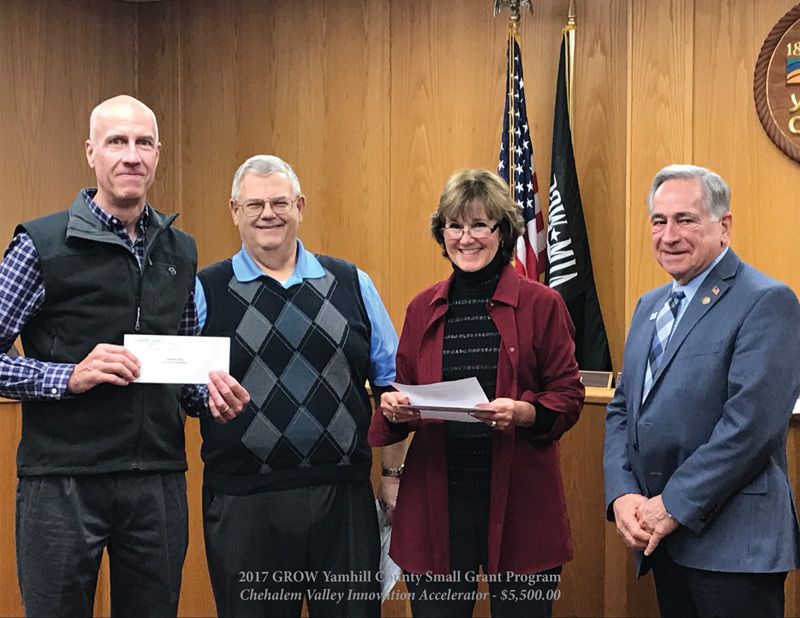 On behalf of the Chehalem Valley Innovation Accelerator, I accepted the 2017 Yamhill County Small Grant awarded to ChehalemVIA for operational funding. The check was presented by Yamhill County Commissioners Rick Olson, Mary Starrett and Stan Primozich. We will use the funds for equipment, facilities and services.